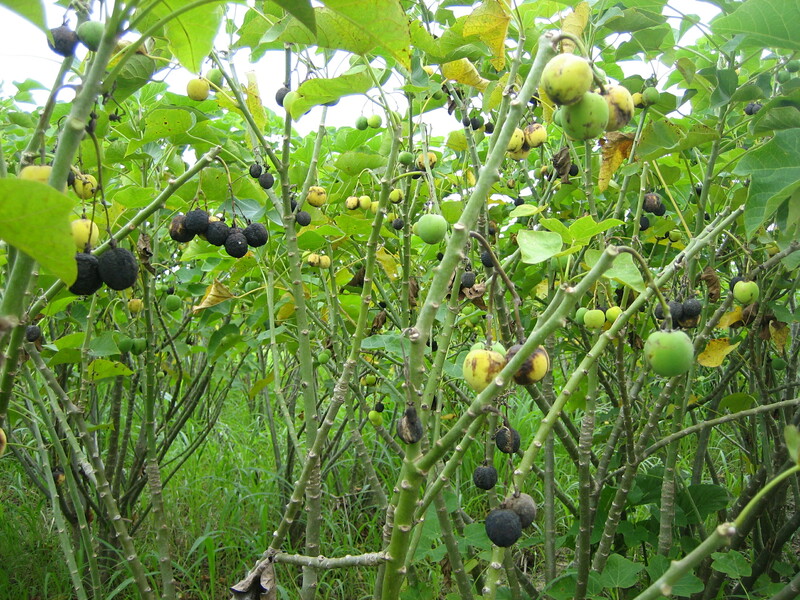 The harvesting of the jatropha is difficult because of the uneven ripening of the fruits. 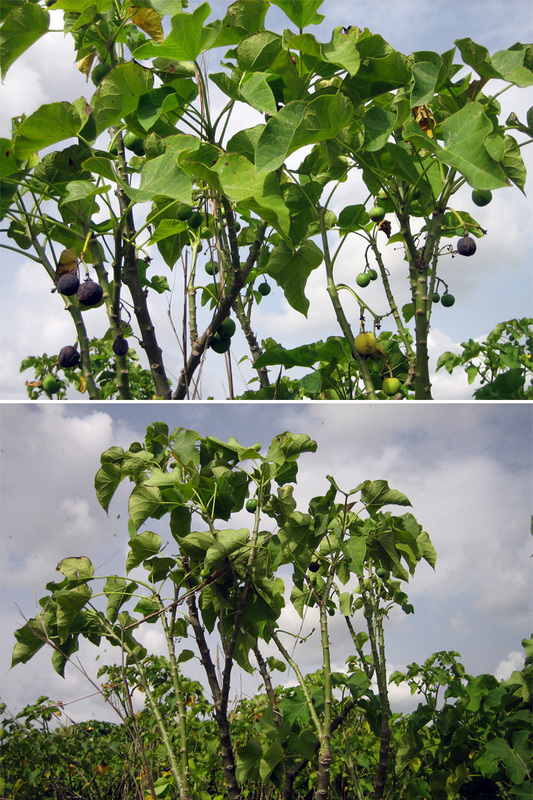 In the same bush there can be flowers, raw fruit, ripe fruit and fruit which are in their drying stage. The uneven ripening means that the bushes have to be harvested selectively, so that only the ripe fruit and the drying stage fruit with high oil content are harvested. 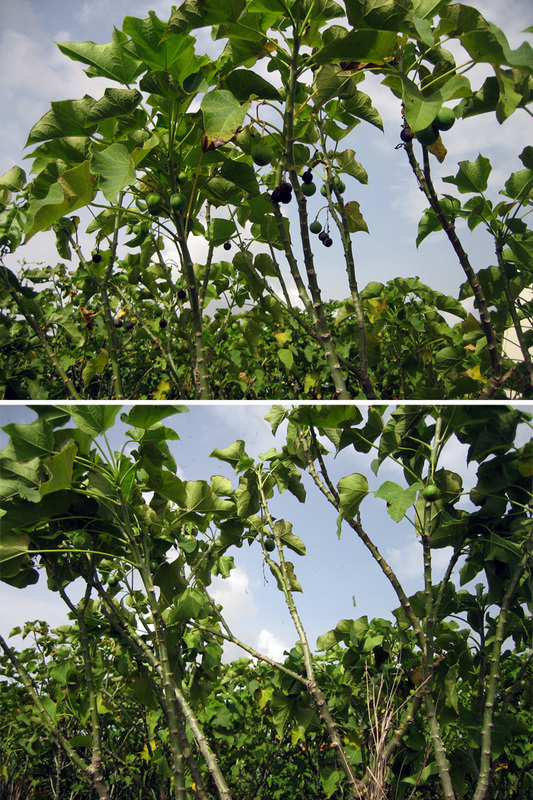 Selective harvesting is started later than hand picking, so that the harvesting results would be as good as possible. The selective harvesting downside is the growth of harvesting expenses because the same bushes may have to be harvested more than once. Evaluation for the specific time of the harvesting is easy; the ripening of the fruit is followed and the harvesting is started when the amount and value of the ripe fruit exceeds the harvesting costs.